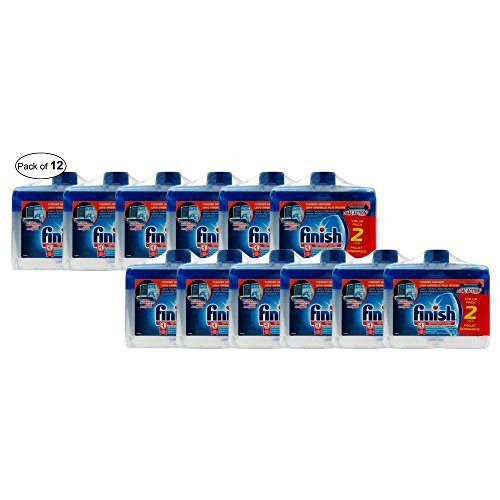 Finish dishwasher cleaner intensively cleans grease and limescale from even the hidden parts of your machine. Use once a month for an amazingly clean, fresh and well maintained dishwasher. Cleans, freshens, and helps maintain your dishwasher. Dual action formula removes grease and limescale. Eliminates food and water residue. World's #1 recommended brand for dishwashing. A clean dishwasher results in clean dishes. Weight :250ml. Cleans, freshens, and helps maintain your dishwasher.Eliminates food and water residue. Dual action formula removes grease and limescale. World's #1 recommended brand for dishwashing. A clean dishwasher results in clean dishes.